IMGUR USER angryhamzter posted this adorable picture of his son, beaming in front of their Christmas tree. But don’t look too closely at the jumper, or the sweet image is shattered. “Accidentally sent my son to school with his newly bought ugly Christmas sweater,” he wrote. ‘Accidentally’? How could it be an accident? Didn’t realise what Santa was doing until his kindergarten teacher pointed it out when I picked him up after school. Sure Dad, sure. Just keep telling everyone that. 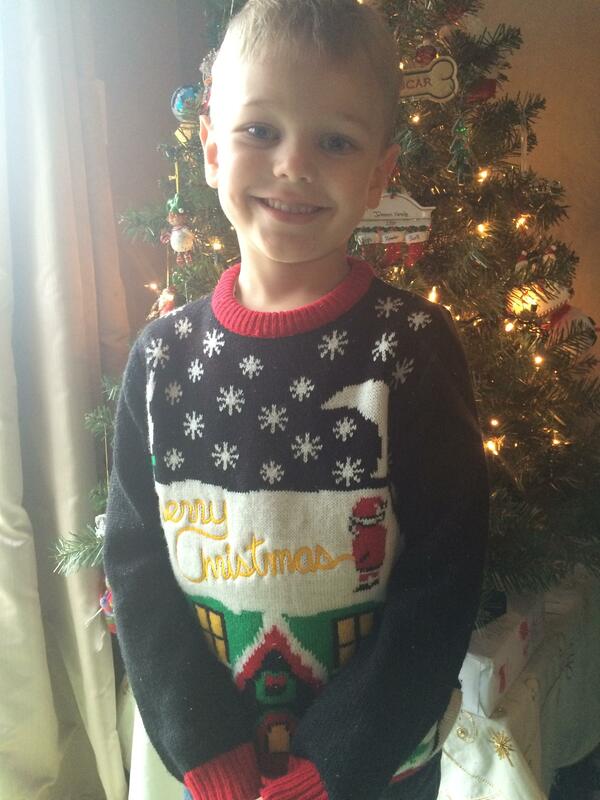 Email “A dad accidentally sent his son to school in this rather cheeky Christmas jumper”. Feedback on “A dad accidentally sent his son to school in this rather cheeky Christmas jumper”.